SAN FRANCISCO — Mayor Edwin Lee today announced on Feb. 6 his intention to appoint District 4 Supervisor Carmen Chu as assessor-recorder, filling the vacancy left by Phil Ting, who became the representative of the 19th Assembly District in the California Legislature in December. In FY 2011-2012, the Office of the Assessor-Recorder generated approximately 35 percent of the city’s General Fund revenue and captured more than $23 million in underreported and unrecorded transfer tax. Zoon Nguyen was appointed by Ting to be the acting assessor-recorder on Dec. 3. The assessor-recorder’s job is to equitably and effectively administer the property assessment system of the City and County of San Francisco. Duties include locating all taxable property in San Francisco and identifying the ownership, establishing a taxable value for all property subject to property taxation and listing the value of all property on the assessment roll. The assessor-recorder maintains public records, conducts fair and efficient assessments, and ensures equality in all assessments. 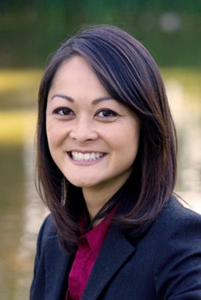 Chu was elected to the Board of Supervisors in November 2008 and November 2010 to serve as the city’s representative to the Sunset/Parkside District after being appointed to serve in September 2007 by Mayor Gavin Newsom. As member of the Board of Supervisors representing District 4, Chu served as chair of the Budget and Finance Committee for FY 2011-2012 and FY 2012-2013. Together with labor, community advocates, city departments, and the Mayor’s Office, the Board of Supervisors was able to agree on a $6.83 billion spending plan that provided funding for the most vital city services and closed a $380 million General Fund budget deficit. Prior to joining the Board of Supervisors, Chu worked to improve the lives of San Francisco residents through her tenure at the Mayor’s Office of Public Policy and Finance, where she served as the deputy budget director to develop and forecast the city’s annual and long-term budget, and worked on projects such as the 311 Customer Service Center – a centralized point of access to city services available to residents 24/7. Chu has also consulted with PFM, a private consulting firm that specializes in advising municipalities on the management of debt and financing of large public works projects. Currently, Chu serves as chair of the Government Audit and Oversight Committee, and as member of the San Francisco County Transportation Authority (SFCTA), Health Service System Board, and City Operations and Neighborhood Services Committee. Chu also serves as a director with the Golden Gate Bridge, Highway and Transportation District, and is a board member of the Association of Bay Area Governments (ABAG). Chu holds a bachelor’s degree from Occidental College in public policy and a master’s degree from the Goldman School of Public Policy at UC Berkeley.